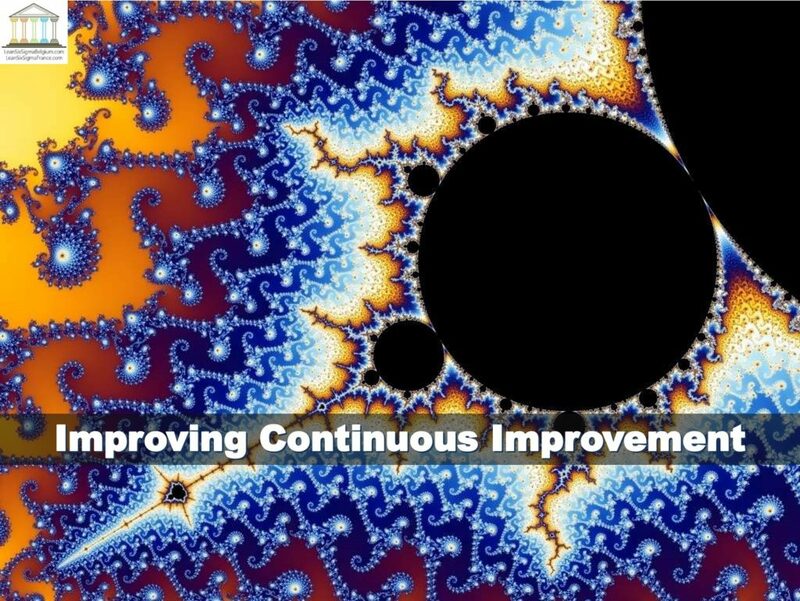 Continuous improvement can easily become one of those buzzwords that everyone embraces without fully understanding it. People often believe they are practicing continuous improvement by making a single positive change, for example in the way they manage a meeting, or in providing more listening time for employees, but even these tentative steps tend to get brushed back into nothingness by the forces of cultural inertia. 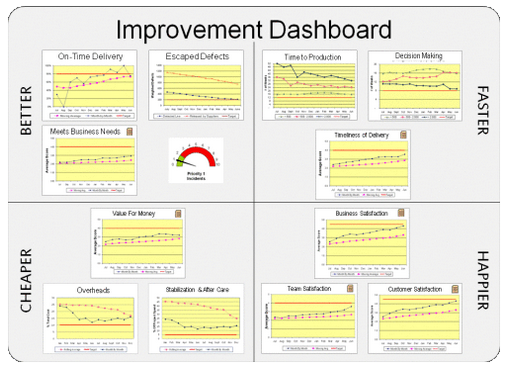 See Applying Lean and Excellence in an Age of Rapid Change . On an individual level, there is a level of operation and achievement that each person is capable of, based on a variety of influences ranging from personal metabolism and diet through to their experiences and opinions of their current working community. Beyond this individual level, there is also one that each team and company reaches collectively. When efforts are made to change a habit for the better, the danger quickly becomes apparent: without constant review and nurturing, all activities will return to their natural and fixed buoyancy point. It’s a form of cultural inertia. That is why the term continuous improvement includes the word “continuous.” Continuous improvement is an activity without end. Once a habit has been introduced, there must be regular review and updates to ensure it is still working, and that the change is yielding positive results. When I introduce the concept to students or clients, the most common first reaction is that continuous improvement implies a never-ending quest for a constantly renewed ideal. For example, if your team can improve to point “A.,” then it is now compulsory to improve to point “B” and so on ad infinitude. A natural push back to this concept is that it means “we are never good enough,” which in some situations can be demoralizing. Firstly, I would have to agree, that moving from point “A” to point “B” is vital to ongoing survival because the world around us, including competitors and consumers, is doing the same. We are all moving towards point “B” and on wards to point “C” with each new smartphone, each app upgrade, each new technological innovation, and lifestyle change. So, in that regard, continuous improvement is fundamentally about keeping pace with an ever-improving marketplace; no tracing ahead, but simply keeping pace, and that is not a luxury. That is the baseline of performance; a baseline that slants uphill. But even if you were to shutter the windows and not look outside, there is another type of inertia that threatens any organization’s status quo. Even if the marketplace stopped advancing, the internal momentum of an organization is doomed to slip backwards without constant care. There is no stasis, only advancement or decline. Therefore, once again, the need for continuous improvement exists at a fundamental level to ward off the forces of natural decay. Continuous improvement initiatives are not all equal. Sometimes the wrong one can be deployed, one that truly does not fit with the culture and has no way if integrating itself or of changing that culture. Within a group that has held great distrust of senior management for decades, it will not be easy for a new generation of young managers to instantly move an employee base into proactive new manager-led activities. An example of where one change can become the catalyst for further positive change is outlined in the same Mc Kinsey article, using a case study of a food company whose managers tried to work with and understand the needs and priorities of their workforce, but who could not develop sufficiently deep insight. By factoring new mobile technology into the change process – instead of making the technology the defector change, teams are better able to perceive an immediate benefit and use appropriate metrics to identify sources of improvement-focused change and the outcomes. A final cautionary word regarding the dangers faced by continuous improvement initiatives comes from the desire for people to defend their decisions and approaches of the past, especially within the departments they used to run prior to being promoted into more senior positions. Change and continuous improvement become threats to the very professional legitimacy of an individual manager, a challenge to the way he or she did things back in their day. Ultimately, the awareness of a need for continuous improvement and the changes that come with it must become a daily priority for decision-makers at all levels. Much like gravity, the threat of a downward slide towards mediocrity and decay is ever-present. The Application of Six Sigma: It’s Contextual – Is Brussels like Toronto?